Old houses come dressed up in old lath and plaster. Ours had the added benefit of cheap yellowish paint. It is all gone or covered up now – I know we have no mercy. About half the stuff got torn down, hauled out, and tossed in a dumpster. Some of it got a treatment of ‘creative concealment’. One room has drywall covering the old stuff. But what to do in an old, lath and plaster covered stairway?? It is a highly traveled spot in a house that has living space on one level and sleeping space on the other. Tearing the stuff out sounded like a nightmare I didn’t want to think about. So we covered it with beaded board. 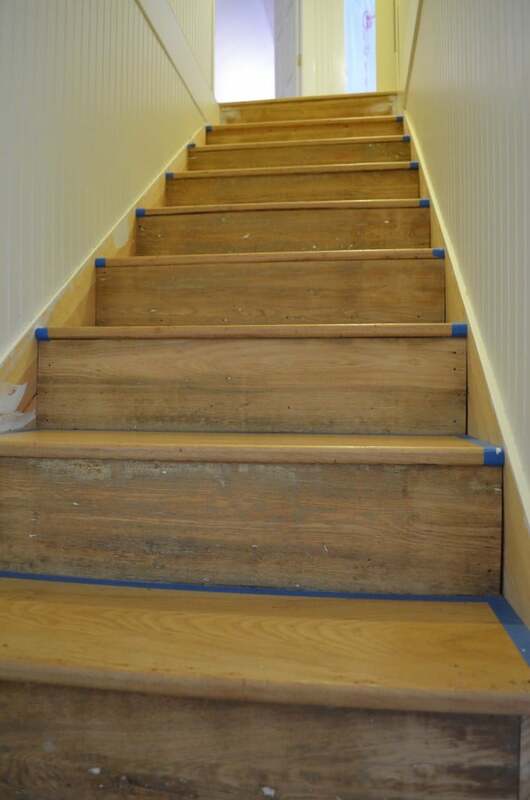 The actual stair treads ended up coming out, being re-finished, and put back in. This all started at least 2 years ago. I dug. And dug and dug and dug. I was SURE I had posted a pic of when the stairway was torn out but I can. not. find. it. If you find it and let me know you will be my best friend forever 🙂 Anyway, the upper part of the stairway is finally finished. 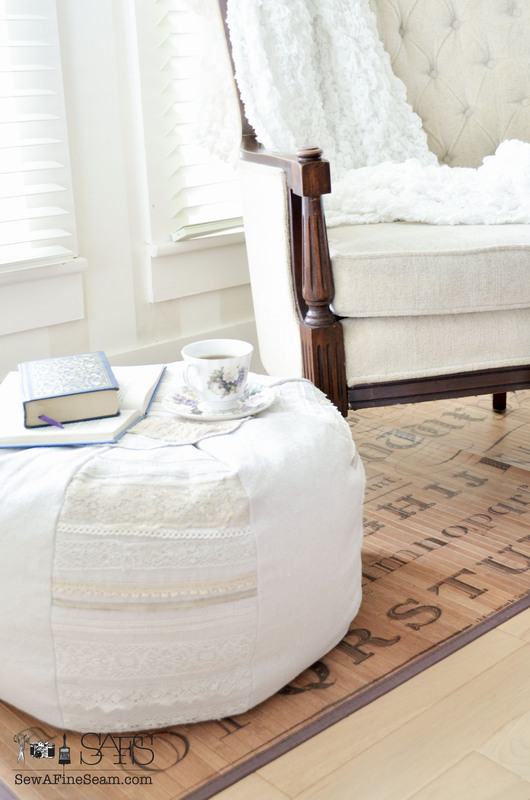 I cannot believe how long it takes to redo such a small area. Especially when you ignore the project for a long time after starting it. The stair treads and the face boards all came out and were stripped. The treads were re-finished and everything was replaced within a week. When you need to use your stairway daily, and you need to tear it out, it is a good idea to replace it quickly! 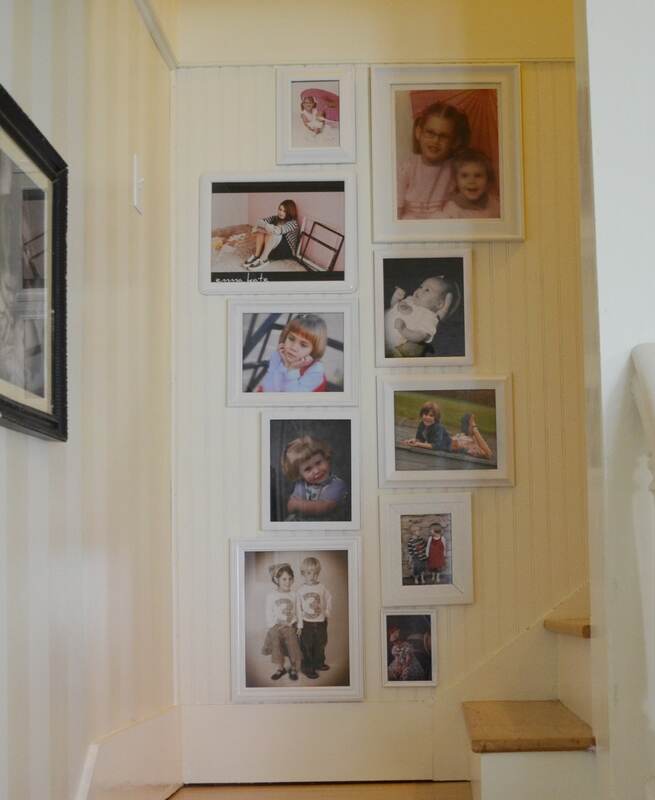 My husband lifted the kids from the lower landing, up the 10 step height with the help of the band boards. I climbed the stairs using just the side band boards, with the assistance of the handrail. It was only for a couple of days. Which is a good thing because with my record of clumsiness any longer might have been not-so-good. To say the least. So the stairs got replaced, I taped off the edges in preparation for painting the side band boards and the stair faces, and there it sat. For a LONG LONG time. And I don’t even like that color of blue. …and I painted. And painted and painted and painted. The little details take the longest. 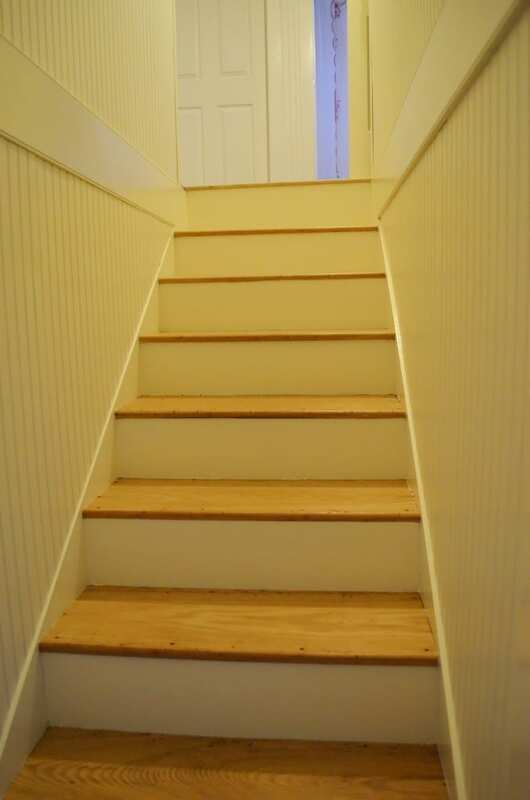 I would prefer to paint a room than this stairway. Hope it doesn’t need a fresh coat any time soon. Too bad if it does because we all know how good I am at putting stuff off. 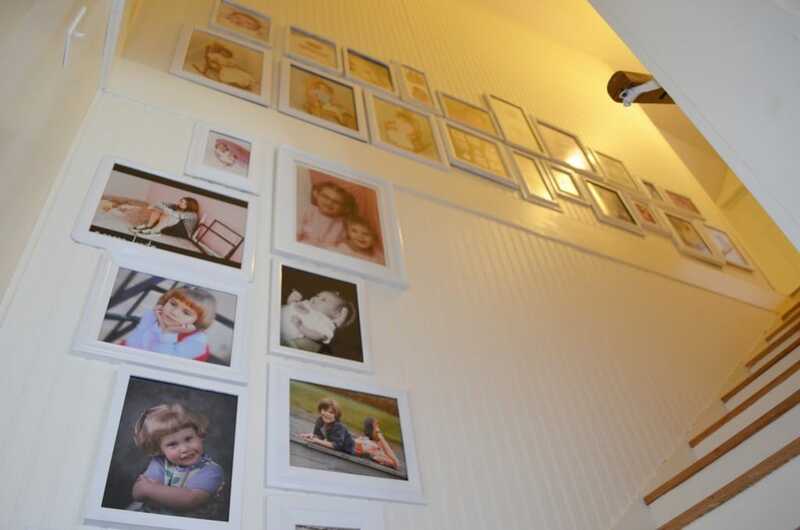 Not the best coloring – did you know that stairways are also very hard to photograph??? No natural lighting. Since the painting was finally finished I knew I couldn’t let the rest of the stairway project sit as long as had the painting. Plus the removal of that bright blue painter’s tape energized me. Must remember that little detail in the future! 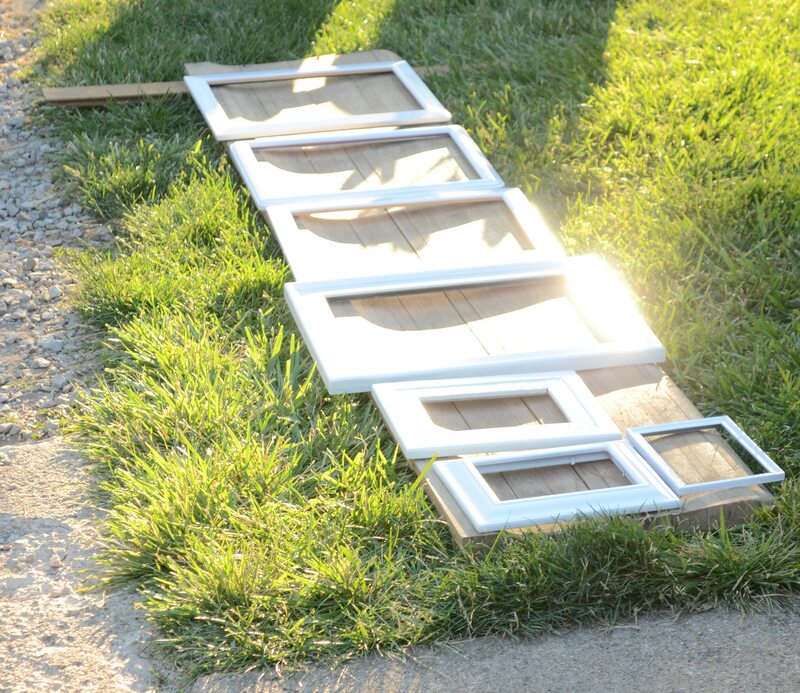 I dismantled all the picture frames that had been in storage under our bed for – oh, let’s just say a long time and leave it at that. Exact measures of time don’t really apply here right? 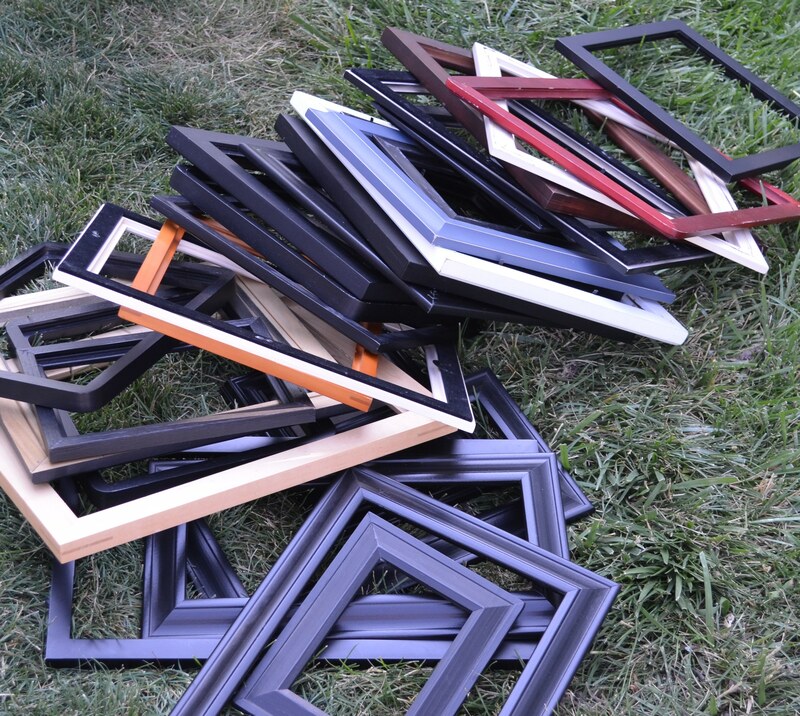 I have a few frames. 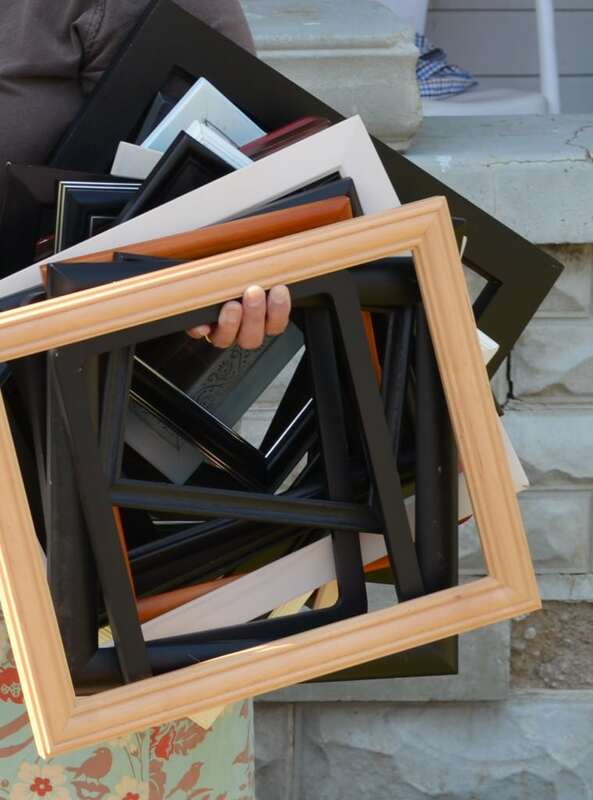 This post shows how I used the black frames in another room. Before that room got its own makeover. These frames now got THEIR makeover. Can you guess what color my husband and I spray painted them?? 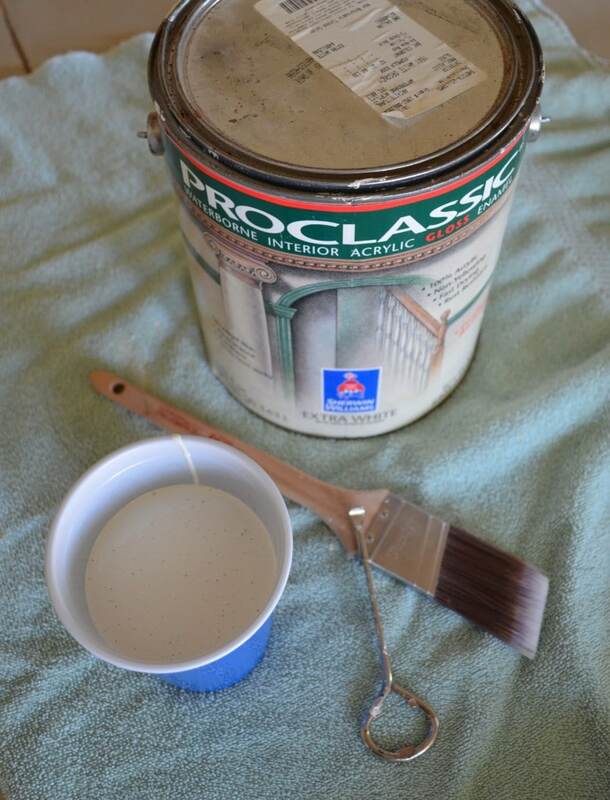 We used Rustoleum Lacquer Spray Paint. You can purchase it at Wal-Mart, or a home improvement store or if you would prefer to order it you can purchase it online here. Using this link does make me a little $ as I am an affiliate. Trav bought 2 cans of the paint thinking we could paint all the frames with just 2 cans. Wrong. 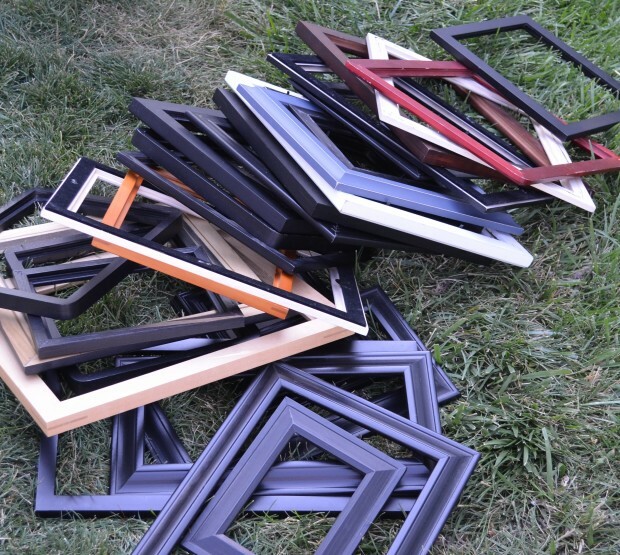 So the frames all hung out in my dining room for about a week and half. Better than 2+ years. 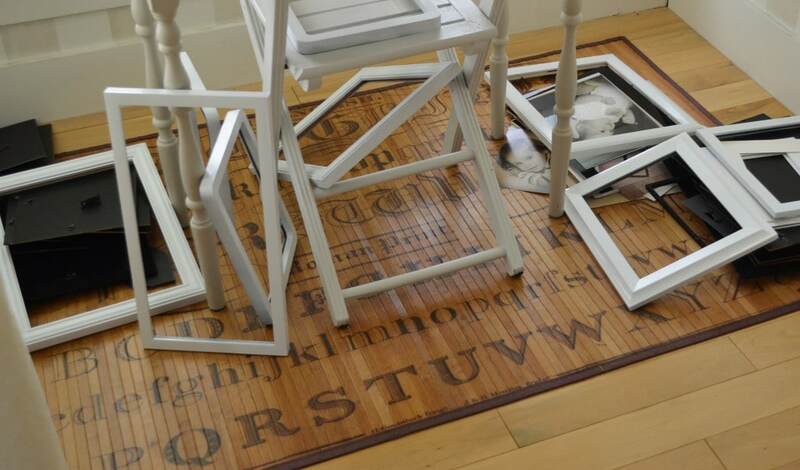 Note: having an ongoing project in the middle of your house usually means it WILL get finished relatively quickly because no one likes the mess and everyone needs to use the dining room table for something else. 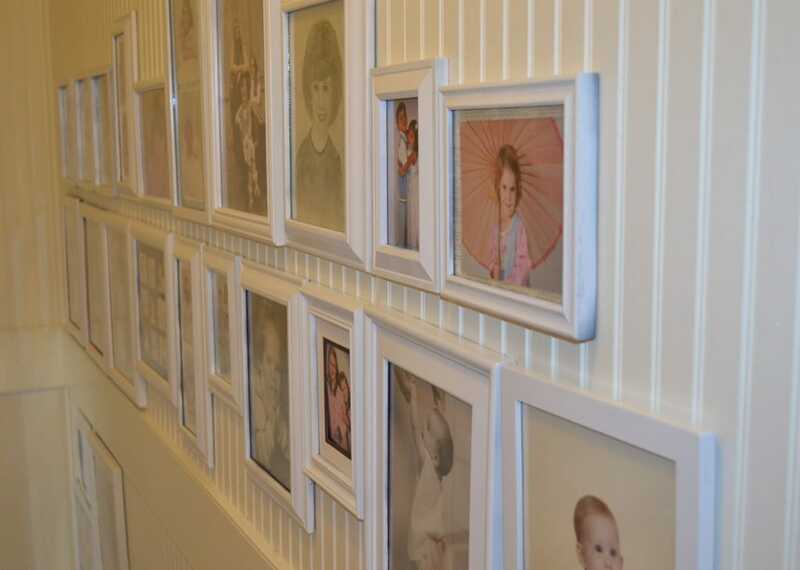 Not my idea of a way to decorate with frames but I had to spread them out while the paint cured. 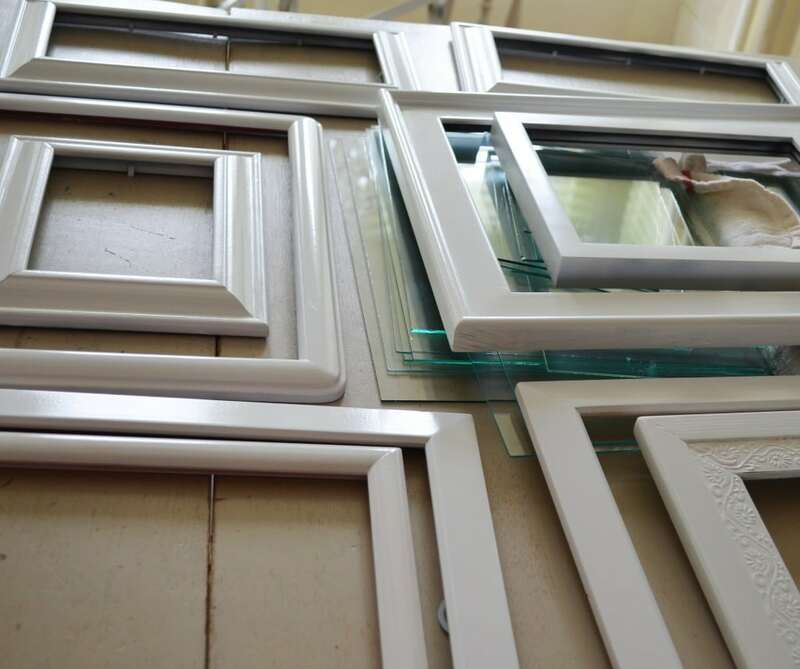 The frames did all get painted and I managed to get them all filled with photos and the correct glass and backing reinstalled. Then the hanging-of-the-pictures commenced. (Are we the only people who start stuff like this late in the evening???) 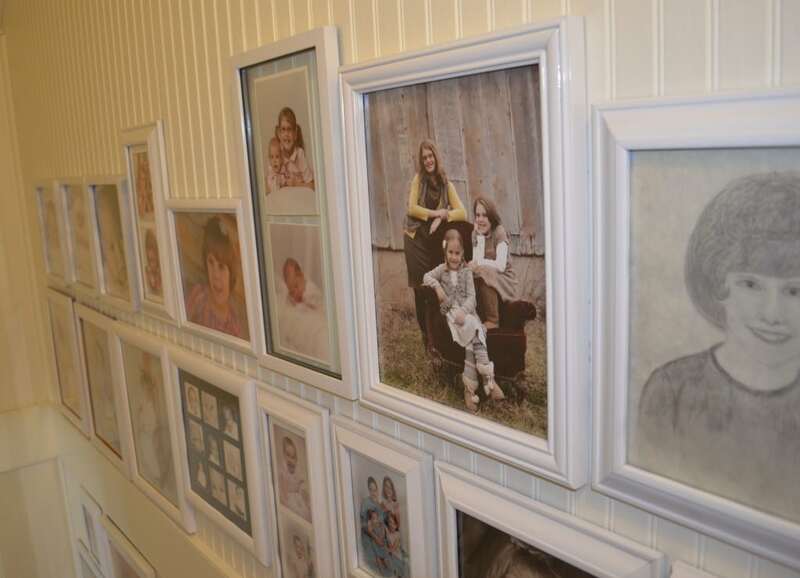 My husband did all the picture hanging. Laser level, drill, screw gun, picture hangers, tape measure, and a lot of time. 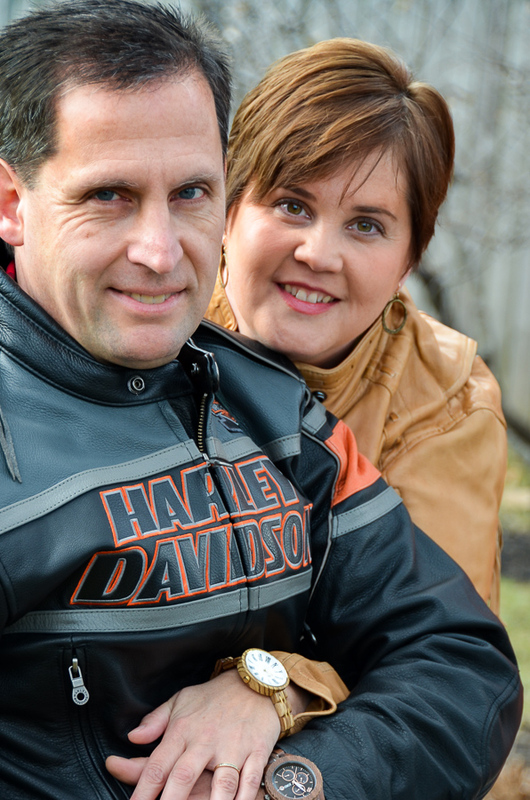 My husband doesn’t move fast at doing anything but when it gets done it is done RIGHT. And looks great. I am so excited to have my pictures out where I can see them once again. I was missing them. Not easy to photograph a stairway! But can you get the idea? Have you ever made over a set of steps?? Not to the extent you did, but I painted the stairway at our old house and put six names of Jesus on six of the stair backs! I loved it. It is one thing I miss about our old house. 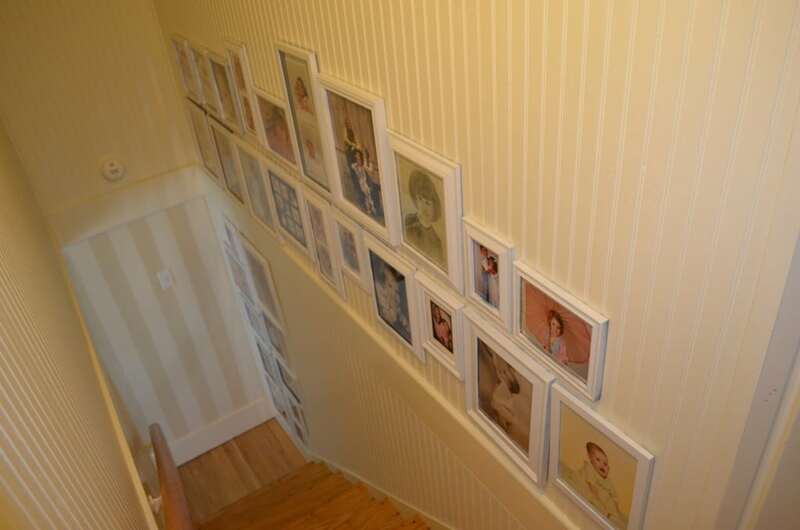 Not the steep, old stairs, but the decor. I really liked my words. Stairways are hard to photo shoot! 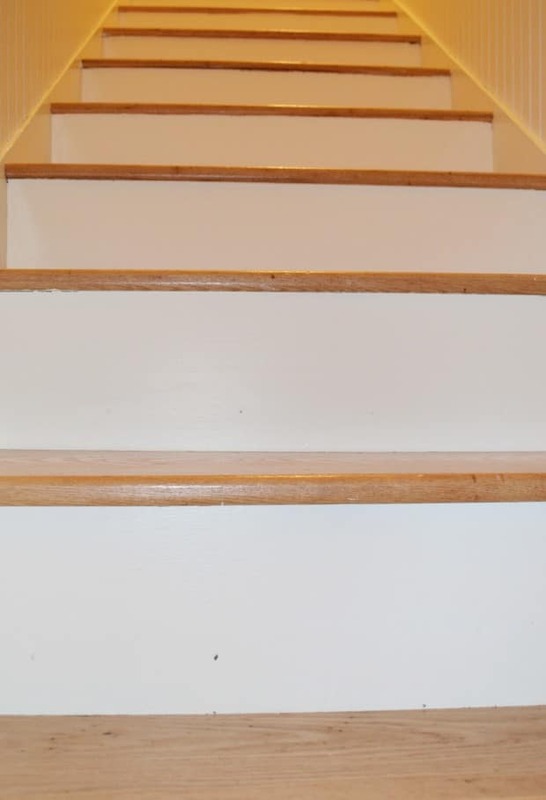 Your stairway looks awesome! 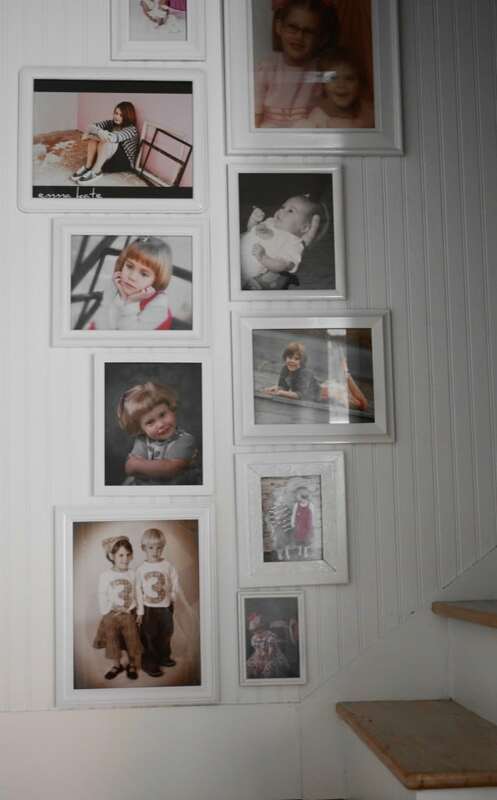 Love the pictures on the walls. 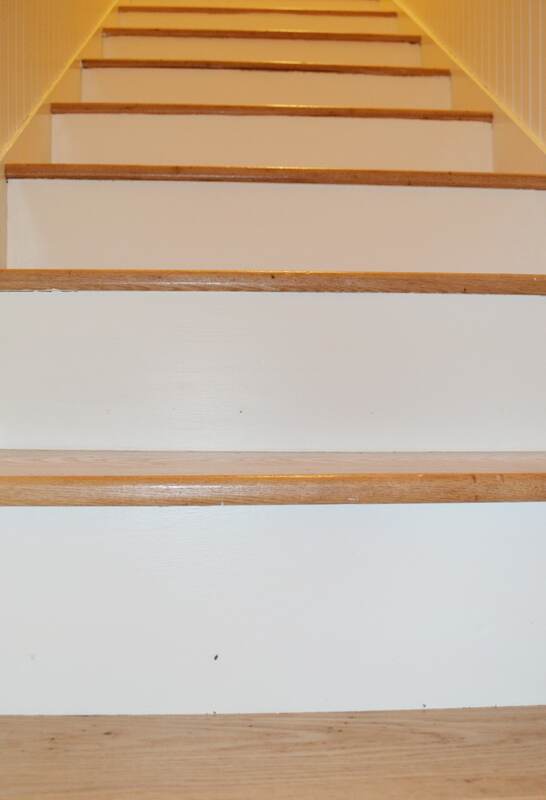 I love the photo of your stairway that is looking up-great angle! I like your stairway—–a lot! Definitely a labor of love, but it looks great now that it’s done! Thanks for sharing!